ALS Limos and Car Services provides Anaheim limousine and tour bus services for business and pleasure; Walt Disney Resort, Disneyland, Anaheim Convention Center and throughout Southern California. We cater to cater to all of Anaheim limousine rental needs. We offer Anaheim limousine services for all major airports (LAX, John Wayne Airport, Long Beach Airport, etc.) and hourly services (weddings, proms, parties, nights out). Our corporate car services are top notch; Southern California / Orange County tours can include any Anaheim attraction that you choose. We are leaders in the Anaheim limousine and tours industry offering luxury transportation services 24 hours a day / 7 days a week / 365 days a year. Call 1-949 333-2745 to place a reservation or request a quote for Anaheim limo, executive van, limo bus, stretch SUV or sedan service. ALS Limos and Car Services offers 14+ different sizes and styles of limousines in Anaheim that are perfect for all occasions. Our Southern California limo company supplies Anaheim limousine rentals and tours in Orange County, Riverside County, San Diego County, San Bernardino County, San Diego and Los Angeles County. We specialize in ALL traditional hourly limo rentals (wedding, prom, nights out, bachelor party, etc) and do offer corporate limousine services for busy executives. These include Anaheim limos for corporate events, convention shuttles, long distance trips, airport charters and special VIP limo services for your clients; such as airport meet and greet, sporting & golf outings, Temecula wine tasting tours, nights on the town, promotional events, Anaheim wedding transportation and custom limousine services in Anaheim, CA. Whether you are in need of a SNA or LAX airport transfer, Orange County tour or private group charter, our live dispatch team is available to help with reservations 24 hours a day and seven days a week. Call us toll-free 1-844-4-ALS-Limo or 949 333-2745 to reserve today! No one does luxury transportation like ALS Limos and Car Services. Our Orange County limousine service takes pride in all that we do for you. Starting with our pristine fleet of Anaheim limos, luxury sedans (Lincoln Town Car L-Series, Mercedes), mini buses, party buses, vans and super stretch SUV limos. Ending with our spectacular chauffeurs and customer care team. Our staff are professionally trained to service your properly and our Anaheim limos are late model luxury vehicles featuring all of the amenities and technology expected from Southern California’s finest luxury transportation service. We look forward to riding you in comfort and style!!! Anaheim Tours – Disneyland, LA & More!!! Are you planning a visit to Anaheim? We can help make it a more exciting experience for your family or group. ALS Limos and Car Services provides luxury tours of Anaheim, Orange County, Temecula Wine Valley, San Diego, Las Vegas Casino Trips & throughout Southern California (SoCal). No one does Anaheim travel transportation like ALS Limos and Car Services. You can choose from Limo Tour, Van Tour or Mini Bus Tour packages, On the other hand, you can ride like a Hollywood Star by using our “as directed” Anaheim Limo Tour services. Making sure that you are safe, comfortable and arrive on time is “our thing”. Plus, we offer special LA / Orange County Tour Coupons and Limo Deals to have you save money while enjoying all that SoCal has to offer while we pamper you! FUN THINGS TO DO IN ANAHEIM @ SOUTHERN CA BLOG! Disneyland has always been a family favorite vacation attraction in Anaheim because Disneyland provides entertainment for the whole family. We suggest to allow your self a few days to be able to enjoy all that it has to offer. Our Anaheim Disneyland tour bus or limousine service will pick you up or drop you off each day you require our limo services. We are excited to provide luxury Disneyland transportation services to you and your family, if you should feel the need to be comfortable. Another major Anaheim Attraction is Disney Adventure Park in California. This park features roller coasters, events, and much more. It is one of Anaheim’s must see destinations. We are happy to provide you and your guest with Adventure Park transportation, so you can relax in a luxury limousine and enjoy your vacation or get away to California Adventure Park. Downtown Disney in Anaheim has many things to offer such as fine dining, live entertainment at The House of Blues and is home to the largest Disney store in the world. There is plenty to keep you and your guest busy in the Downtown Disney Area. Our Downtown Disney transportation will provide you with the luxury limousine service you desire that will keep your Anaheim Downtown Disney occasion a meaningful event for all and will make sure your guest wont forget the fun they had. 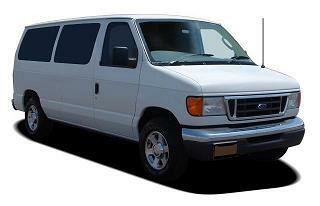 ALS Limos and Car Services OF ANAHEIM. WE CAN RIDE YOU IN CLASS & STYLE ANYWHERE IN ORANGE COUNTY, LA METRO, SAN DIEGO, TEMECULA WINE TOURS – CALL 1-844-4-ALS-Limo TODAY!